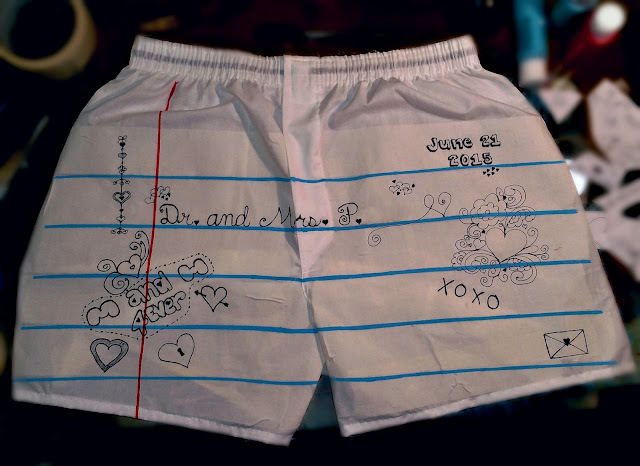 "doodles like a lovesick middle-schooler"
on our paper boxers for their 1st (paper) anniversary. and are very happy with how it turned out. We hope she likes it, too. and making this for our customer. and is quite talented and creative. I really appreciate his help with this project.